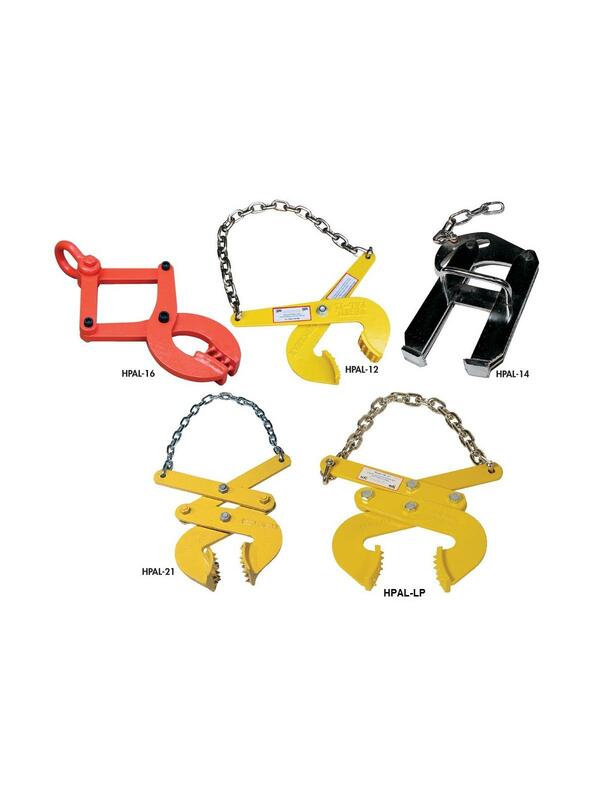 HPAL-12 & HPAL-16 - Single scissor action for wider jaw opening. 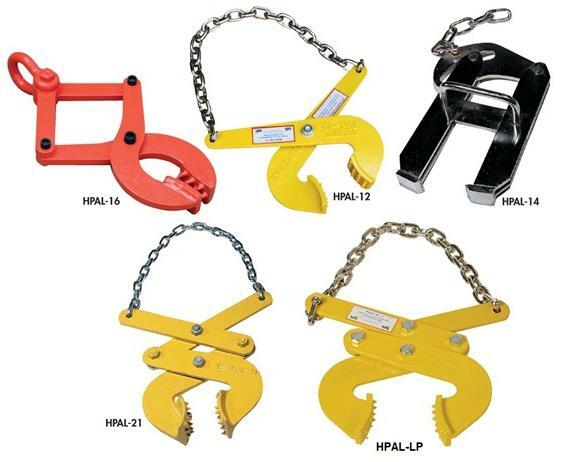 HPAL-14 - Cam closing action provides maximum gripping strength and reduces pinch points. Safety handle enables easier positioning and removal of serrated heads. Grips both metal and wood pallets with biting action. HPAL-21 & HPAL-LP - 1 piece curved heads have integral spurs for gripping pallet stringers.